There are many industries and audiences involved in the discussion of stormwater management. These professions include but are not limited to engineers and stormwater managers, landscape architects, contractors, developers, erosion control inpectors, and transportation officials. There is an immense amount of information from across the globe that is available to these audiences, and this website by no means will attempt to cover all all of these industries and professions. Instead, the purpose of this website is to provide guidance, using general stormwater management concepts, for those professionals working in South Carolina. 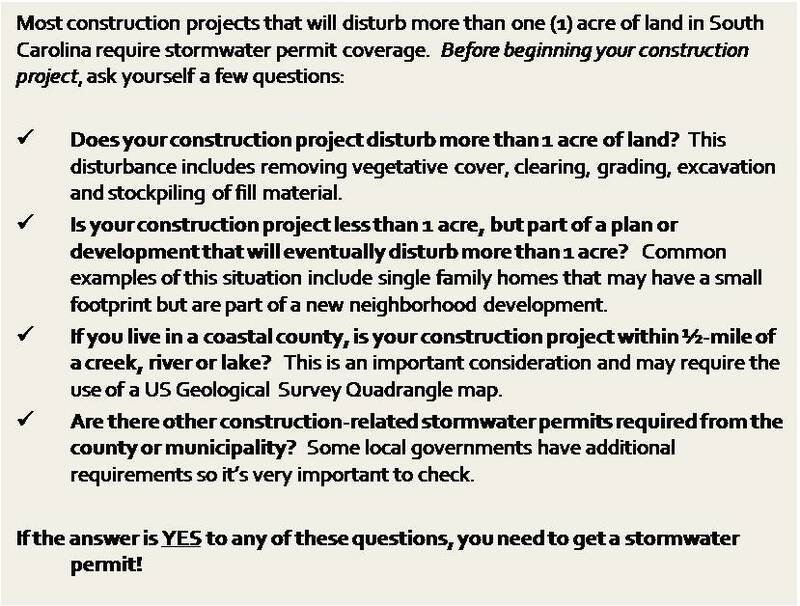 For more information on if your construction site needs a stormwater permit, guidance is available in this brochure.